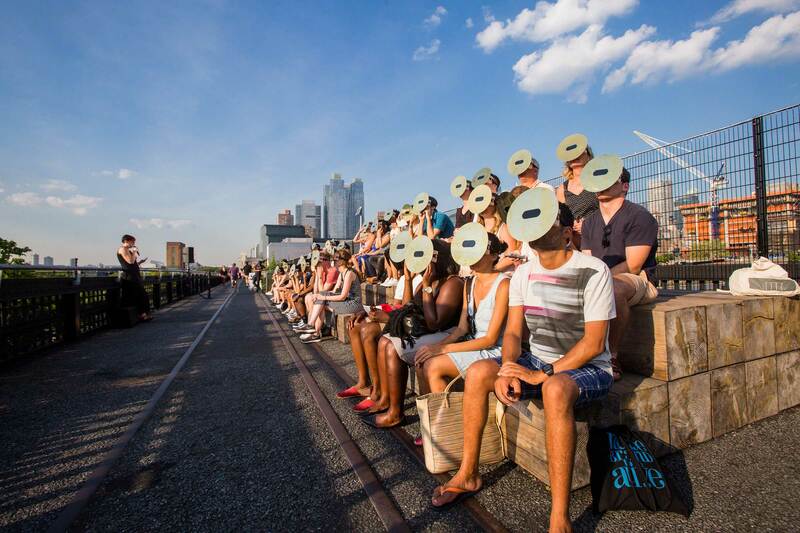 The High Line turns into an open-air theater through live, artist-led events, scheduled throughout the year. 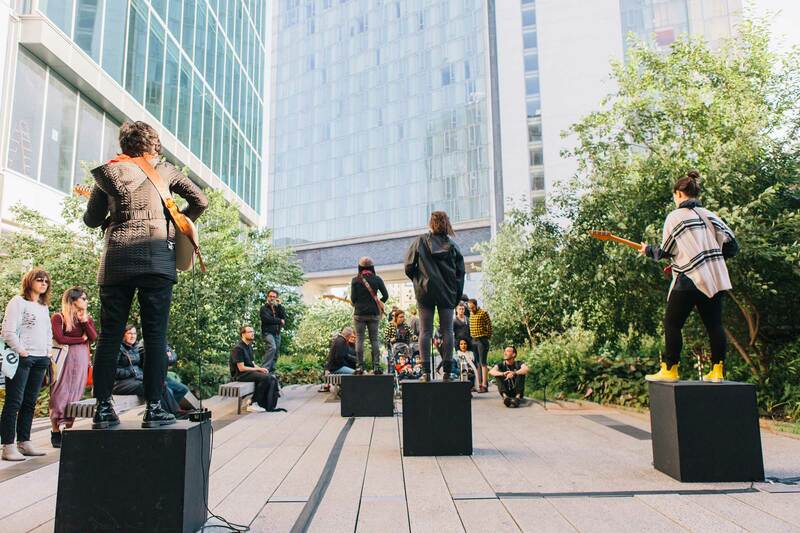 Taking place on and around the park, these performances interact with the unique physical landscape and social space of the High Line, inviting audience participation and provoking thoughtful conversation. 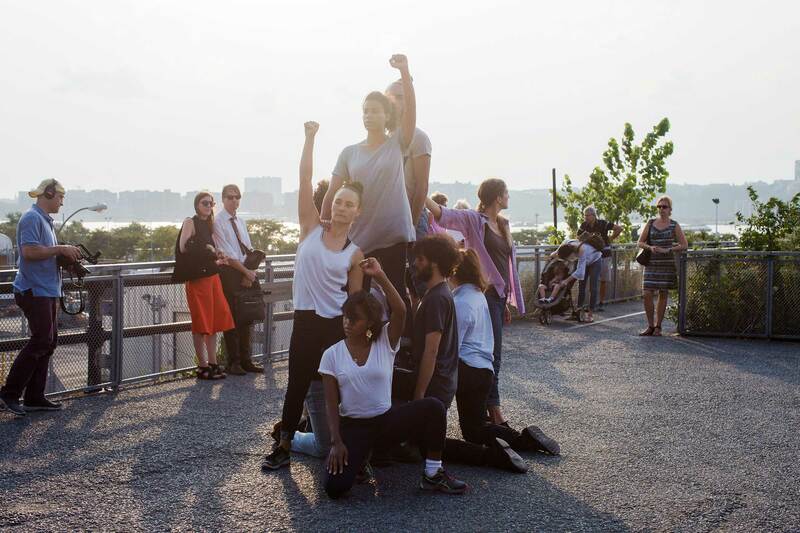 This series has previously featured works by artists including Kevin Beasley, Alexandra Pirici, Naama Tsabar, and the Trisha Brown Dance Company, among others. Rawls presents a choreography for two or three dancers wherein they manipulate a custom keyboard that frames and changes the city behind. Both choreographer and artist, Bachzetsis performs two works wherein she seeks a way out of the norms of gender and sexual identity expression by mutating banal gestures ad nauseum. 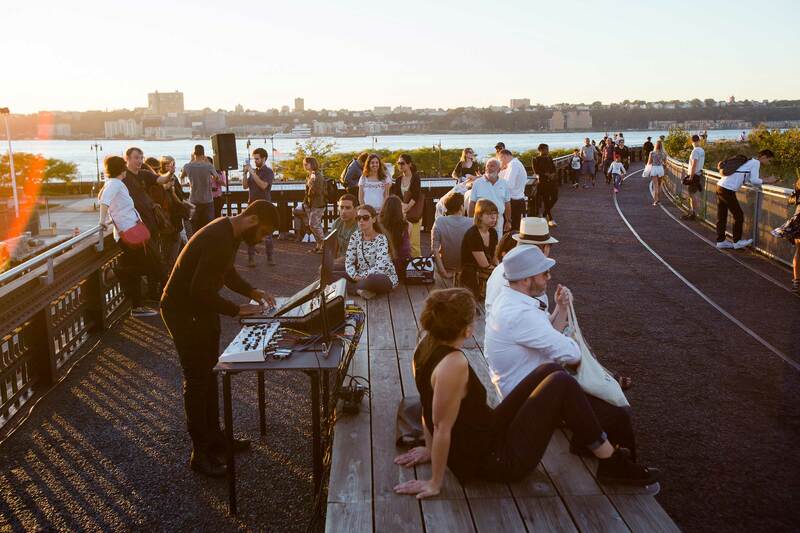 Korda presents a new immersive sound performance that considers the history and mythology of the High Line and explores its transformation and invisible histories. 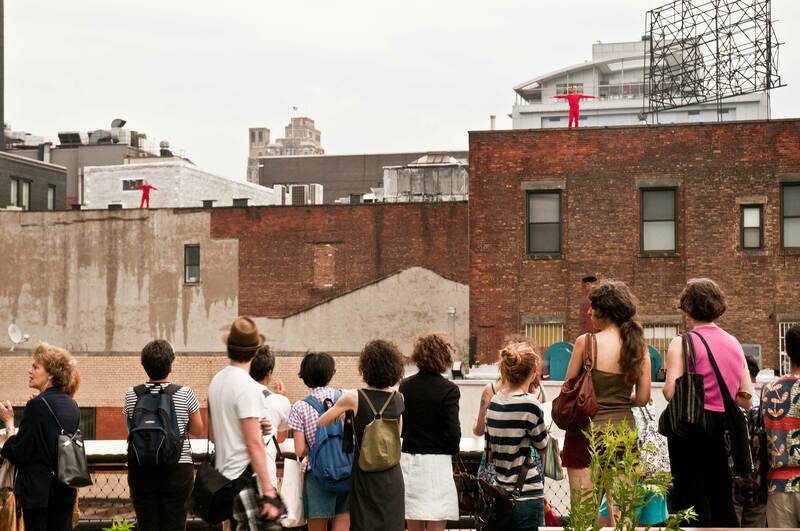 We work with world renowned artists to commission temporary, site specific sculptures, installations and murals that are visible from the high line and the surrounding neighborhood. Everyday at dusk at High Line on 14th street, we screen a rotating selection of video and art, including both new and historic works. This new landmark destination for major public art commissions will launch in 2019.